If you’re reading this website, you’re probably someone who likes to take things apart. As such, you probably also have one or more old computer hard drives just sitting around in a parts bin. Of all the projects you could have for an old drive, here’s an interesting one – A Chinese engineer who operates a hard drive repair and data recovery center decided to turn a used drive into a cotton candy machine. Possible sanitary concerns set aside, his creation is very cheap and easy to build. Most hackers probably have all the necessary gear just sitting around already. The only parts he used were: a hard drive that still powered up, a generic plastic basin, an aluminum can, a flat round metal tin, and six bicycle spokes. It might not be pretty, but it works. If you want to create your own, be sure to check out the above link. There’s a full DIY guide complete with step-by-step photos. Looks like a great way to get heavy metal poisoning to me. Considering that the hard drive has a 40 pin connector, and it came from a Chinese site, do you really think they are using silver solder? On a semi-unrelated note, I wonder what the actual risk is of lead poisoning is. Especially when you consider how many people shoot guns indoors. No one bothers to wear a dust mask or respirator, and you dont seem to hear of anyone developing lead poisoning that way. Plenty of bullets are made entirely from lead, plated bullets have very thin jackets, and even FMJ ammo doesnt have a layer a layer of copper that thick. I’m not entirely sure why, but the exaust from the muzzle and gas system of my rifle when shooting 7.62 NATO FMJ sparkles as well. And I know after a hour and a couple hundred rounds, my nose is full of black soot. The indoor range I’ve been to has a pretty hefty ventilation system designed to draw air away from the firing line and towards the targets and bullet trap at the other end. When I took my pistol class, an instructor said they get their lead levels checked periodically. It may not be as big of a problem for the weekend shooter, but if you work there, the exposure is going to be a lot higher..
Or the fact that many fishermen bite lead split-shots to crimp them onto the fishing line all day long all spring long. Heavy metals and all the chemicals they soak PCB in. Why? The food is in the tin can, and exposed only to the solder of the supports. He could have used silver solder or lead free solder there. The hard drive electronics aren’t shedding lead. Is it NSF approved for restaurant use? No. Is it hacker approved for making cotton candy? Heck yeah! What is more important is making sure the hard disk platter is aluminum and not glass. Drilling through glass like that would leave a handful of shattered glass and no toy. And who knows what coatings and lubricants are used. They wouldn’t exactly be chosen for their safety for ingestion. Why? Just couldn’t bear to throw it out, could you? Most improbable conversion I’ve ever seen. LOL. How to avoid the drive to turn itself off after asserting failure to start? Older hard drives don’t do this. loosely attach a rubber/plastic tire from a toy(set) to the platter of a harddrive from back when they were so huge they required “cdrom” drive bays. and accross the room it goes! LOL or put 8 hard drive platters onto it and tilt it over, and it’s like a weapon XD You can even send them over jumps. This can also be done with a high speed grinder and a CD. They will go 30m, or if set off in a small room will grind a 1m mark in the carpet, then spin halfway up the wall if it can get grip. Excellent, love it… rotating alcohol induced fire, blisteringly hot high velocity molten sugar and the risk of heavy metal poisoning. Sounds right up my street. I’m sure I have a few old hard disks somewhere. What a way to re-purpose a hard drive, aluminum can and some metal bike parts. I can’t image actually eating cotton candy from this machine but it’s a novel idea. This sure is a whole new way to recycle your old electronics. 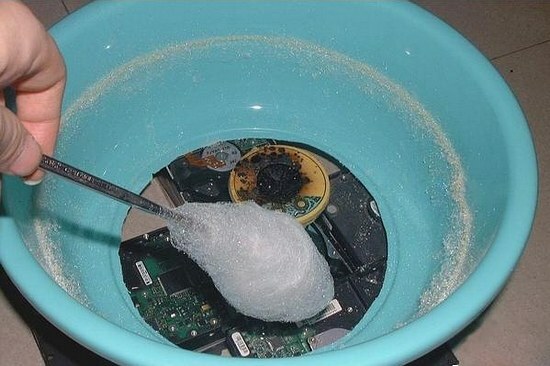 I love cotton candy but I don’t think I would eat it from a hard drive with all the other stuff they used. Ana has updated details to Automated Circadian Bathroom Light. Dustin Kimmel has added a new project titled Dev kits for a team project. Ted Yapo liked Sawppy the Rover remake. Duncan liked OPEN Power (Prototype 1).